A two-day itinerary in Gunnison and Crested Butte promises fishing, mountain biking, Black Canyon of the Gunnison National Park, wildflower hikes and charming mountain towns to explore in charming southwest Colorado. If Gunnison is the quintessential Western rodeo town, then Crested Butte is its free-spirited mountain neighbor. Despite their different vibes and activities, both offer unparalleled adventures and spectacular scenery. Kick off your excursion 15 miles west of Gunnison, where vast reservoirs feed into dramatic canyons in Curecanti National Recreation Area. It took thousands of years for Colorado’s fifth largest river, the Gunnison, to carve out the area’s most identifiable feature — the eponymous, 48-mile-long gorge. Check out exhibits on the area’s natural history at the Elk Creek Visitor Center, located on the Blue Mesa Reservoir — Colorado’s largest body of water. Winds captured by the surrounding flat-topped buttes make for primo sailing. Anglers, too, will find deep, clean water filled with lake (mackinaw) trout. And boaters freely roam more than 41,000 acres of lake. Another way to take to the water: The Morrow Point Boat Tour, on nearby Morrow Reservoir, is well worth the 232 steps down to the boat landing. The pontoon will float you to the foot of precipitous 1,000-foot cliffs. Meanwhile, landlubbers can stick to the four-mile Curecanti Creek Trail, which passes through ponderosa, aspen and riparian forests as it drops 800 feet below the canyon’s rim. On the western side of the canyon, stop into downtown Montrose, where antique shops, several cafes and a handful of museums exploring the history of the area can keep you busy. Or, spend the rest of the afternoon wandering downtown Gunnison. Pop into boutiques and cafes along Main Street, or take in the Pioneer Museum’s mineral exhibit and awesome collection of 55 antique cars. The Double Shot Cyclery is a delightful combo bike shop and coffee house. Southwestern Colorado’s night sky twinkles with stars. View them up close from the Gunnison Valley Observatory. The state’s largest research-quality telescope is open to the public on Friday and Saturday nights mid-June through mid-September. 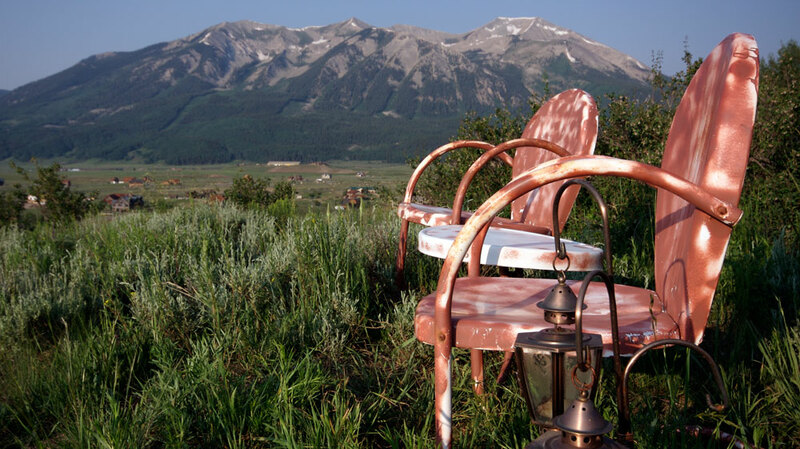 Drive 30 miles north from Gunnison’s scrubby mesas to Crested Butte’s granite peaks. In the 1880s, the town was a supply stop for nearby coal mines. But these days, it is known as an adventure-sports capital and the Wildflower Capital of Colorado. The area is awash in lupine, columbine, queens crown and paintbrush from June through early September. Hike the 3.4-mile Upper Loop Trail and ogle the fields of purple, gold and fuchsia. Or stick around town for July’s Crested Butte Wildflower Festival — complete with garden tours and wagon rides. White-knuckle adventures await you on granite-topped Mt. Crested Butte: take the chairlift to access a web of mountain-biking trails. (Crested Butte is the sport’s self-proclaimed birthplace.) Or see how you fare at bungee jumping, rock climbing and disc golf at the Adventure Park, located at the base of Crested Butte Mountain Resort. Continue the action into the afternoon by rafting or fishing the gold-medal waters of the Taylor River. Gunnison County holds four state records for the largest rainbow, brown and lake trout, and kokanee salmon, a landlocked variety of salmon. Ready for some downtime? Head into the historic town of Crested Butte. Its blocks of charming Victorian-era buildings form what the National Trust for Historic Preservation calls one of the country’s most distinctive towns to visit. And there’s plenty to do: Nearly every summer weekend features a gathering of some sort — the Wildflower Festival, Tour de Forks culinary festival, Crested Butte Music Festival. Or head to the Crested Butte Mountain Heritage Museum to see how the area's past residents lived. Finally, be mellow and return to the Adventure Park for a free concert, held on Wednesday evenings, or relax and take in a play, dance exhibition or concert at the Crested Butte Center for the Arts. Of course, there’s always the option of sipping wine or beer at one of the top-notch restaurants in town. After an action-packed weekend like this, you deserve it! The nearest major town to the Black Canyon, Montrose is a gateway to biking, hiking, rafting, hunting and fishing. As a basecamp for exploring the area, you’ll be charmed by the Old West feel yet surprised by the modern eateries and shops. Make time to see the Montrose Water Sports Park on the Uncompahgre River for kayaking, tubing and swimming. West of Montrose, explore the Dominguez-Escalante National Conservation Area’s 200,000 acres of red-rock canyon country. Nearby Delta County — home to the towns of Cedaredge, Crawford, Delta, Hotchkiss, Orchard City and Paonia — is a growing organic-food and wine region with winery and orchard tours, wine tastings and farm dinners. Paonia, Hotchkiss and Crawford were named a Certified Colorado Creative District. And visit Marble for a historic walking tour, backcountry skiing, spectacular fall color and photogenic Crystal Mill. Crested Butte Mountain Resort and Monarch Mountain Ski and Snowboard Area offer amazing skiing and snowboarding. There’s also peaceful snowshoe/cross-country ski treks, miles and miles of snowmobiling trails, ice fishing, tubing and dog sledding.